Krokmitën is a progressive death metal project from Montréal, and Heta is a thirty-six-minute single about how a particle collider – which can somehow disrupt stars -, rips through spacetime, and thus unleashes the most violent, primal instincts of mankind? However utterly insulting to one’s intelligence that concept is, the actual music is all right! It’s nothing groundbreaking, especially for a genre now used to very over-the-top musicianship and out-of-left-field ideas. The riffs themselves are quite mundane, if not exasperating, but the drums sound very raw, and I like that a lot. Throughout the course of the song, you’ll be taken to a lot of heavy parts, and some more atmospheric passages. In the end, it’s decent enough. You can grab it for free on the band’s website. रागम॓टिक (Rāgamatic) is a German electronic ambient-meets-Indian classical music project by sitar player Reiner Heidorn. 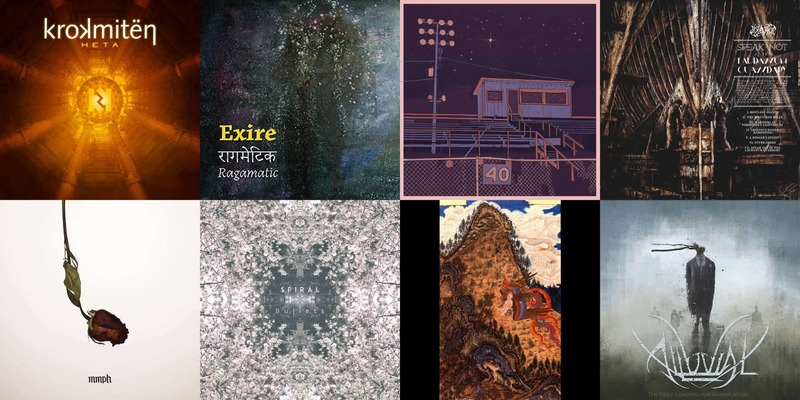 Exire is their latest release, and it consists of an hour and fifteen minutes of ambient music to which is apposed sitar, and various other instruments and percussions, but to a lesser degree. The result is something that somewhat resembles the most tranquil moments of Buddha Bar music, if that’s something with what you’re acquainted. It’s not by any means something I’d listen to on a regular basis, but if you’re looking for some Asian-sounding music as a background filler, you got it. SW / PH is a split EP from Sleep Weather and Pace House, two very good indie pop/math rock bands. The under-twenty-minute EP is dreamy and beautiful, so it’s always nice to have alongside other math rock albums, even if it’s on the shorter side. Both SW and PH sides are equally great, and this split made me discover the former band! Hurray! 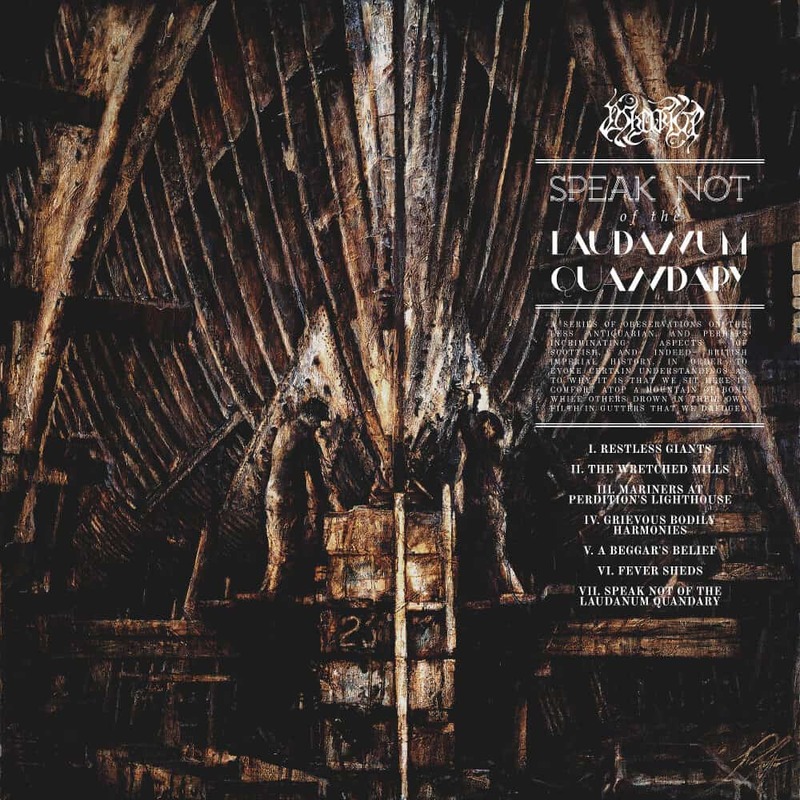 Sadly, there are no available tracks streaming for this album, coming out on the twentieth of January, but Ashenspire‘s Speak Not of the Laudanum Quandary is pretty interesting. Take progressive folk metal, and add a theatrical, exaggerated vocal delivery, and you’ve basically got an avant-garde metal album. A pretty safe and non-exploratory one, but one nonetheless. Sounding a bit like Vulture Industries and A Forest of Stars – although better than the former but not than the latter -, Ashenspire doesn’t really aspire to create something radically new, instead choosing to squeeze right in the good old, clichéd avant-garde tropes. It’s pretty good, but not indispensable. Dear God is, I believe, mmph‘s first release. It was published via Beer on the Rug, famous for bringing the world the vaporwave anthem by excellence, in Macintosh Plus. However, this is not in the same genre, and more in the lines of experimental electronic music. The twenty-one-minute EP is just fantastic! The way the songs transform with time amazes me, because they begin as hardly promising, bare songs, but fully flesh out in the course of a few minutes into something much more grandiose. My favourite on there might be ‘Blossom’ for its interesting use of rubato in an electronic music context, but the whole thing is well worth your while. Spiral is a Polish progressive post rock band, and Bullets was released last fall. The compositions allegedly fuse the genre with dream pop and trip hop. The songs, though, are undeniably good and appreciable, like the very dreamlike ‘Cops & Robbers Song’, and really are relaxing to listen. You’ll have more than enough of material on the album, with its forty-two minutes running time, but still wouldn’t want the reverie to end. Iran is not really where metal has the most sprawling scene, but we do get bands from there, once in a blue moon or two. 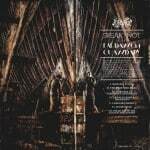 This time, it’s اكوان (Akvan)’s experimental black metal. میراث (Miras) is a two-track EP with folkloric instruments – namely the tar and setar -, used to great effect in the compositions. The programmed drums is more than bothering to me, and is something Vizaresa – the one behind the project – should strive to address in the future. In general, it’s a decent release showing promise. Alluvial‘s The Deep Longing for Annihilation just dropped today, and it’s one pretty good instrumental progressive death metal release already. As the collaboration of guitarists Keith Merrow and Wes Hauch, the project had quite elevated expectations, which I believe it was able to match. What I cannot forgive is the apparent relying on sampled drums. And who knows if the synthetic treatment wasn’t also applied to bass guitar? As of now, there are no mentions of a drummer or a bassist, which makes me fear for the worst. However, all this can be somewhat pardoned because the songs are simply pretty good and effective. You can listen to and buy it here. On	January 6 2017, this entry was posted.